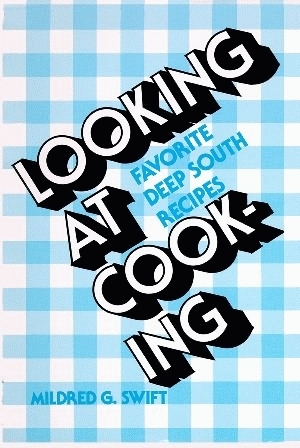 These kitchen-tested recipes, reflecting the savory dishes for which the Deep South is noted, will have strong appeal for the sophisticated cook and the beginner as well. Collected and refined during the author’s long career as a Louisiana State University home demonstration agent, these more than 700 recipes will provide the basis for countless hours of cooking and dining pleasure. Included are sections dealing with the preparation of gumbos and soups, breads, poultry, meats, seafood, rice, vegetables, salads, pastries, candies, jellies, jams, and preserves. Also presented are the author’s special salad secrets, a complete section on the preparation of party foods, and surefire instructions on how to brew a perfect pot of coffee. An authentic food expert, Mildred G. Swift was hostess of her own cooking show on KNOE-TV in Monroe, Louisiana, for eighteen years. She also is the author of More Looking at Cooking, published by Pelican Publishing Company.